Finally, a better way to create weekly activity reports. 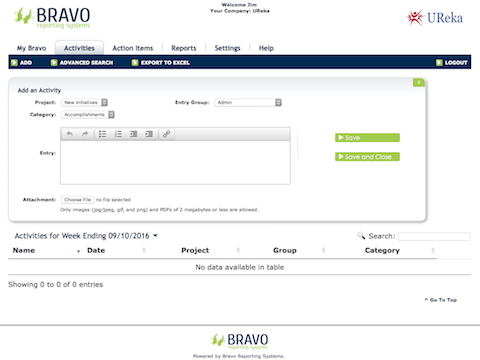 The Bravo Reporting System is a simple-to-use, feature rich, web-based application designed to take the pain out of creating and assembling weekly activity reports. As a manager it is important to know what’s happening and where the issues are. Bravo is a great way to improve the overall communication within the project. 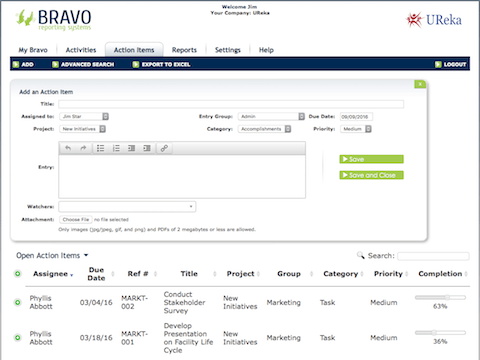 The Bravo Reporting System is a fast, efficient way to enter accomplishments, issues and action items, and with the simple click of a button all the data from each employee is assembled into a perfectly formatted document that can be easily sorted in multiple ways. Results driven managers know the importance of staying focused on the key action items. 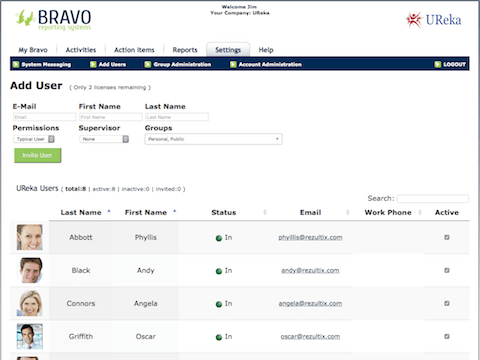 The Bravo Action Item Manager allows each individual on your team to enter and track action items with ease. 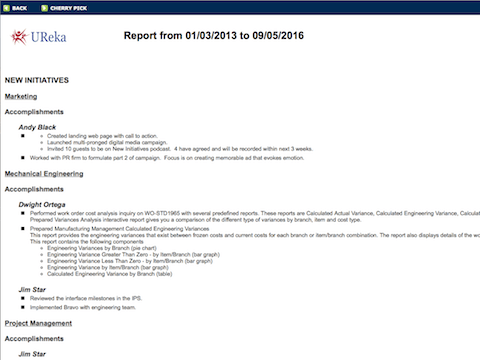 Reports can be quickly generated that display the owner and the status of each item. E-mail notifications allow for easy assignment of tasks, as well as when there is an update to the item you will get a notification.